The Connecticut Port Authority was honored to join Governor Dannel Malloy at New London’s City Pier to announce a $15 million investment for infrastructure improvements at State Pier. These funds will revitalize the pier, maximizing its potential as a driver of regional economic growth. With New London’s unobstructed access to its deepwater port as well as Connecticut’s vibrant manufacturing community, our region has a major advantage in maritime development initiatives. “I have no doubt that the funding we invest today will have lasting economic benefits to the entire region in the years and decades to come,” said Governor Malloy. The CPA will oversee the improvements, and has already begun working on preliminary planning. 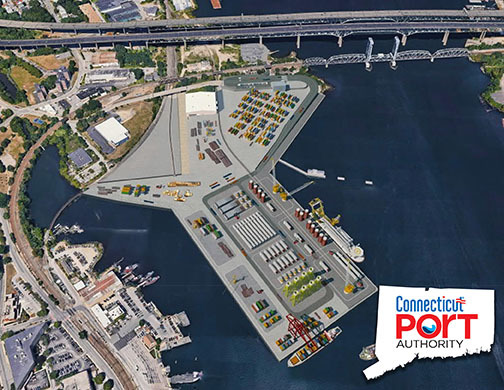 To Learn more about the Connecticut Port Authority, click here.